The high efficiency video compression standard (HEVC) is the latest video engineering marvel that is designed to launch video coding towards the domain of the 8K. This new standard with all the advanced video coding techniques built into it has an overload of computational complexities, which result to very high latency in the encoding process. Mode decision in this standard is one of the units that constitutes a significant fraction of the complexities. This work utilizes prediction residuals in the inter 2N × 2N part mode, in depths two and three, to prune down decisions over the four asymmetric motion partitions in each of these depths. 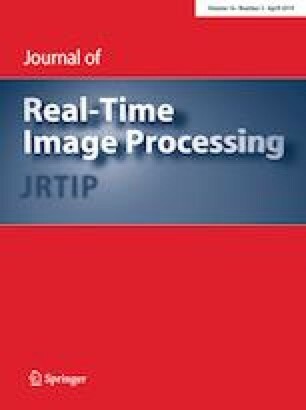 Experimental results show that this algorithm offers a speedup of 72 % at best when linked with the mode decision scheme implemented in HM14 reference software. The online version of this article (doi: 10.1007/s11554-015-0542-2) contains supplementary material, which is available to authorized users.